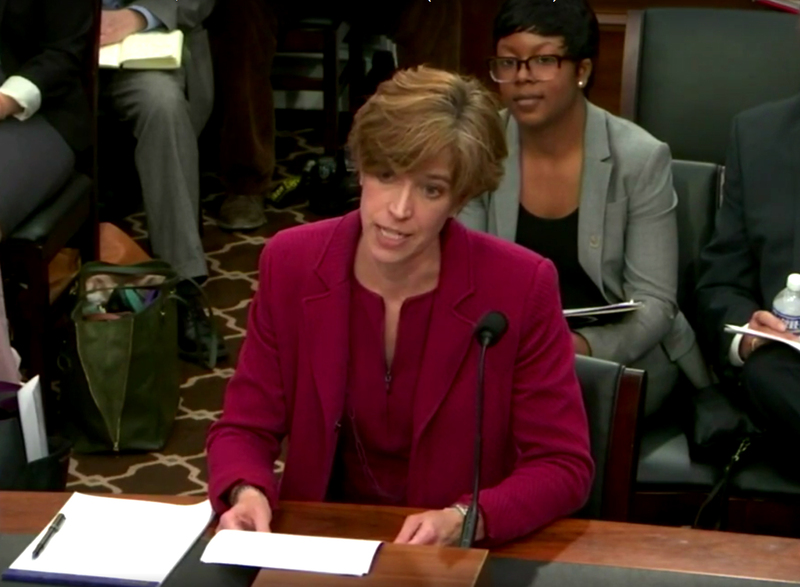 As the federal budgeting and appropriations process began for fiscal year 2018, an Educare leader urged lawmakers in the House Subcommittee on Appropriations to increase funding for early learning programs during a March 8 hearing. Davis emphasized the critical need for all children, especially low-income children, to have access to affordable, high-quality early learning and care from birth through age 5. Federal early learning programs include the Child Care Development Block Grant, Head Start and Early Head Start, and IDEA Parts B and C.
“Access to a high-quality early childhood education helps low-income children enter kindergarten ready to learn, and offers entire families greater opportunities and a pathway out of poverty,” Davis said. Educare Washington, DC, is a high-quality early learning program that serves financially disadvantaged children from birth to age 5 and their families. Educare schools are funded by federal Head Start grants, federal Child Care and Development Fund dollars, along with state, local, and philanthropic funding to create comprehensive programs that benefit children and families. The benefits of quality early learning programs to society are great. James Heckman, a Nobel Prize‑winning economist, found that high-quality, birth-to-five programs for disadvantaged children can deliver a 13% per year return on investment through better outcomes in education, health, social behaviors and employment. Educare is committed to being a platform for long-term policy change. Educare schools across the country are helping to strengthen public investments in high-quality, research-based early learning programs. Read more about the hearing and the federal budget process from our partners at the First Five Years Fund. Read Davis’ testimony and watch the video below. Davis’ testimony starts at 34:00.